An SSD is much faster and offers remarkably better performance when it comes to gaming, particularly in terms of loading times. HDDs, on the other hand, have a longer life-span and are much more cost-effective as a high-volume storage solution. 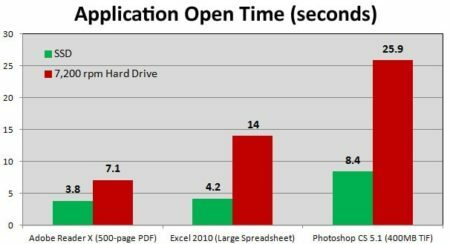 Solid-state drives have become all the rage in the recent years, all thanks to the unprecedented read/write speeds that completely blew traditional hard-disk drives out of the water. It was not without a good reason that gamers around the world proclaimed SSDs as the undoubtedly better choice for gaming due to the sheer performance that they offer. But are they really that much better? 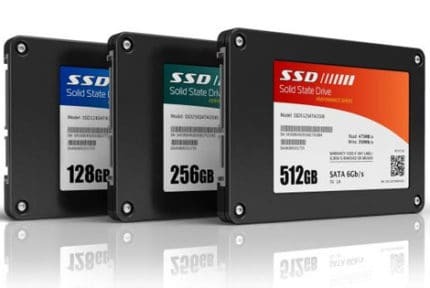 In this article, we will be comparing SSDs and HDDs on all fronts, discussing the advantages and disadvantages of using each, as well as deciding which one is ultimately the best gaming solution. As we have already stated, SSDs are superior to HDDs when it comes to speed, and there’s no doubt about that. An SSD’s data transfer speed can surpass that of an HDD several times over, although when put in practice, an SSD is roughly 2 to 3 times faster than an HDD. In the image above, you can see just how much faster SSD load times are. As such, this speed will reflect on loading times in games, as well as the overall system performance. When it comes to the overall life-span, HDDs tend to last longer than SSDs do. While a lack of longevity is definitely there, it is hardly a noticeable one. Even with intense use, an SSD can last upwards of 5 years. Still, HDDs can easily last for over 10 years, although their performance is bound to degrade as time goes on. There is no denying that that SSDs are more durable due to a lack of moving parts. HDDs, on the other hand, are prone to malfunctioning and to physical damage simply because of the mechanisms that their functioning relies on. When it comes to maximum capacity, both SSDs and HDDs that go as high as 8 TB, or even higher, can be found on the market today. However, a more important thing to consider is the price-capacity ratio. Namely, HDDs are roughly 4 times cheaper than SSDs when it comes to storage. For example, a 50$ hard drive will have 1 TB of storage space, while a similarly-priced SSD will only have about 250GB. The situation is similar on the other end of the spectrum: an 8TB HDD will cost you about 300$, while a 4+ TB SSD would cost thousands. As we have already stated, a solid-state drive has no moving parts. As such, it runs completely silent. Conversely, an HDD is bound to produce a certain amount of noise, but not every HDD is as loud as another. 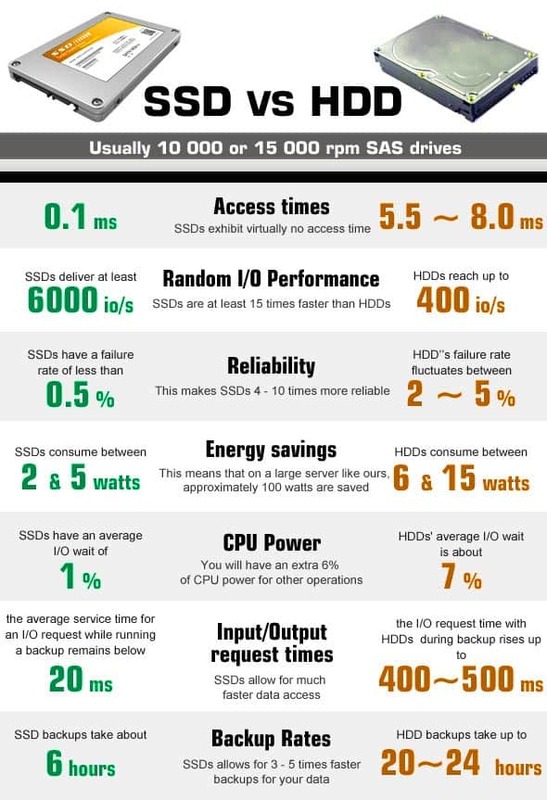 RPM – Today, lower-end HDDs start at 5400 rotations per minute while the more performance oriented variants can go over 10000. Naturally, the faster an HDD spins, the noisier it will be. Age/damage – Seeing as moving parts are crucial to their functioning, an HDD may become louder over time due to its mechanisms wearing down or because of physical damage. 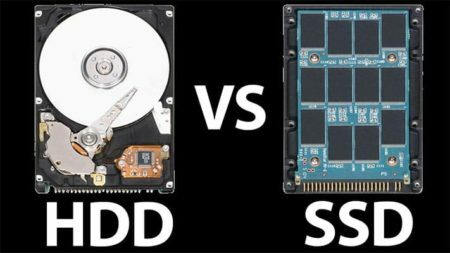 All things considered, there can be no doubt about who the winner is in the SSD vs HDD showdown. An SSD is much better for gaming than an HDD is. The latter simply cannot compete with the performance offered by solid-state drives, so for anyone who prizes performance above all else, this is a no-brainer. However, SSD is not without fault. Indeed, they are not that good as long-term storage solutions, both because of their inherently shorter life-span and because high-capacity SSD prices are bordering on ludicrous. Our advice? Get both of them! Many gamers take this approach. Simply use a 500 GB SSD as your system drive where you keep all your games installed while using a much more affordable 1 TB or bigger HDD for storing your data. This is, ultimately, the most cost-effective solution. 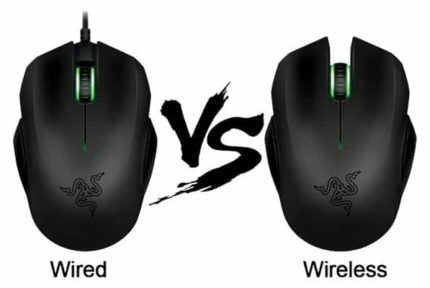 Wired vs Wireless Gaming Mouse - Which Is Better For Gaming?